Mohawk SmartStrand Carpet Review | Floors, Flooring, Carpet and More! 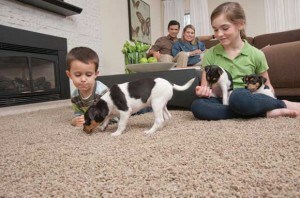 Touted as soft carpet, Mohawk SmartStrand is also sustainable, durable, and stain proof carpet. A carpet that has been rated top in consumer ratings as far back as 2011 and was featured in Better Homes and Gardens magazine as part of the “innovation issue” for its plush softness and ability to resist stains. Mohawk SmartStrand was rated number one in both cleaning and durability criteria in a national survey conducted by Brandware Research. Being top in ease to clean, dirt resistance, odor resistance, protection against spills, and protection against stains. SmartStrand was also given top honors for quality, durability, wear resistance, ability to maintain original appearance, and protection from crushing or matting. Mohawk SmartStrand carpet offers plush comfort with stain resistance. So what is it that makes SmartStrand so smart? It’s the technology of its built-in stain and soil resistance that never goes away! The Dupont Sorona fibers (made from renewably sourced polymer (i.e. corn glucose) give SmartStrand its LIFETIME stain and soil resistance and its not just sprayed on the surface it is actually part of the carpet! Mohawk SmartStrand was rated number one in both cleaning and durability criteria in a national survey conducted by Brandware Research. Being top in ease to clean, dirt resistance, odor resistance, protection against spills, and protection against stains. SmartStrand was also given top honors for quality, durability, wear resistance, ability to maintain original appearance, and protection from crushing or matting. After 10 years, Mohawk has made the best carpet in the world even better. SmartStrand Forever Clean is the only carpet that lets you have it all—unbeatable spill protection, permanent stain resistance, long-lasting durability, and so much more.It’s not just about the stain resistance though. The Mohawk SmartStrand carpet is just as beautiful as it is technologically advanced. 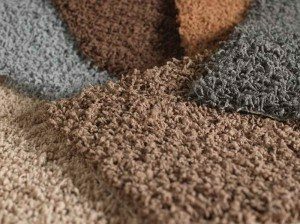 The creation of SmartStrand carpet marked a permanent shift in the quality, durability, and comfort of carpeting and will be a great addition to your home or office. molecular level causing the fiber to bounce back, maintaining its beauty and appearance over time. This performance boost gives SmartStrand Forever Clean a particular durability advantage when it comes to premium soft fibers, such as SmartStrand Silk. Amazingly, in comparison tests, SmartStrand Silk Forever Clean retained its beautiful appearance after 60,000 footsteps. That extraordinary durability proved to be up to three times longer than comparable soft nylon carpets. So rest soft and easy with SmartStrand Silk Forever Clean, the world’s most durable and softest carpet. To learn even more about Mohawk SmartStrand you can contact our flooring experts at American Carpet Wholesalers. Call us today at (800) 548-2706 to discuss your next flooring purchase and guarantee your best price!